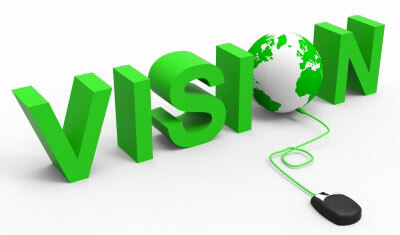 iAdControl's vision is to help optimise online businesses and to enhance web accessibility. This will subsequently improve visibility on Google and aid different types of audiences visiting websites. We love going that extra mile to make your website easy to use and address complex social challenges. For us, it’s about digital inclusion, Corporate Social Responsibility (CSR) and a protocol to shape the Internet to be a better experience, especially with the World Wide Web's 30th anniversary in 2019. We are also aiming to help young people between 16 to 24 who are Not in Education, Employment, or Training (NEET) to help close the digital skills gap through our online marketing workshops. Lacking in skills are a barrier to growth, according to the Budget 2015, The Federation of Small Businesses. "A lack of specialist, skilled talent is significantly hindering the UK’s technological capacity, inward investment and growth, so it’s crucial that the government addresses this shortage..."
- Read the full article from Information Age - A winning election campaign can’t ignore the digital economy. "I think this is an area that small businesses need to know about but are probably largely ignorant of, so I hope iAdControl continue to put on presentations." We will meet your objectives with our Web Marketing Services and create valuable online solutions. We will advise and work with you with the utmost integrity. (Please download Adobe Reader to view the content). WAI level A & Web Content Accessibility Guidelines 1.0. Organic Search Marketing is where you naturally position your website so that it will appear higher in the listings for certain keywords that your potential customers are searching for. iAdControl © 2019 | All Rights Reserved. iAdControl Limited is registered in England & Wales.